A recently divorced woman with a stuttering problem, Emily Hollander (Talia Shire, Rocky), is assaulted by a stranger in her own home. Although she is comforted by her close friend, Andrea Glassen (Elizabeth Ashley, Coma), Emily decides that the best thing for her is to move to a high-rise apartment. But trouble, even murder, seems to follow Emily wherever she goes. Notable for being the only film directed by world-renowned cinematographer Gordon Willis (The Godfather, All The President’s Men, Annie Hall, Interiors, etc. ), Windows is a strange tale of obsession. It moves rather slowly, and there is really not enough content to justify its existence. It’s an unemotional, undercooked Hitchcockian thriller that screams for a kick of something. The acting is fine — Shire, and specially Ashley, are very good — and it does have some interesting touches, but Barry Siegel’s (Pulitzer Prize-winning author of A Death in White Bear Lake and Actual Innocence) script is severely lacking — the overextended climax is particularly weak. I had many, many, many issues with the script, but as expected from a cameraman-turned-director, Windows looks absolutely fantastic — it’s a perfect example of style-over-substance, an unappreciated art form. Willis (nicknamed “Prince of Darkness”) is pretty much responsible for reinventing the overall look of American cinema in the ’70s. I’m a huge fan of his chiaroscuro technique. Here Willis applies everything he knew about lighting and negative space. 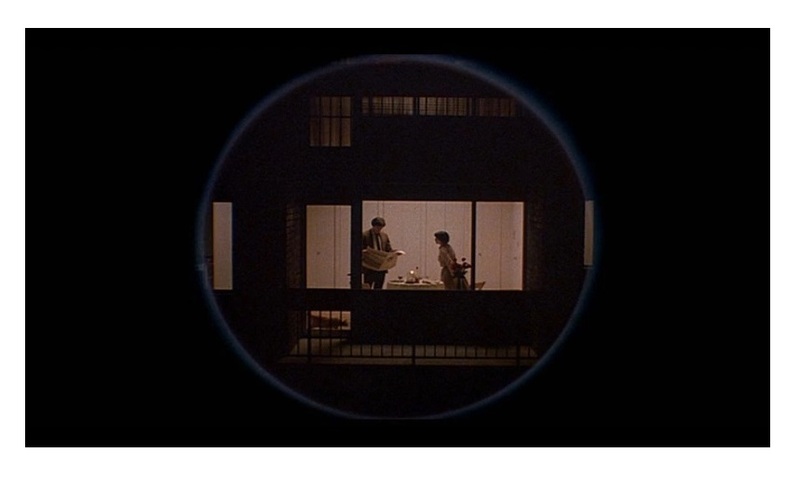 The movie is every bit as visually exciting as Klute, The Parallax View, Manhattan, all shot by Willis. The camera work alone makes the whole thing palatable. I also enjoyed Ennio Morricone’s (The Thing and Cinema Paradiso) creepy music score. 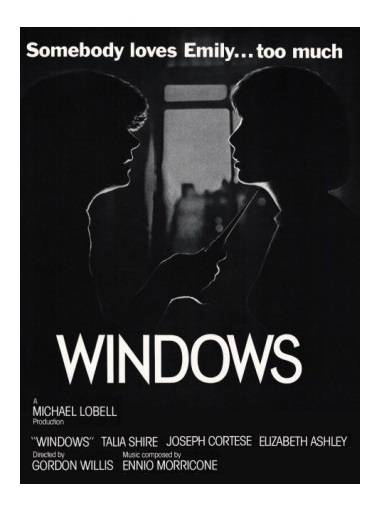 Windows fails as a suspense movie, but Willis’s masterful use of light and shadows was enough for me to enjoy it. Less forgiving viewers are duly warned. Color, 96 minutes, Rated R.